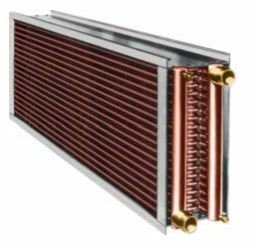 Aerofin Corporation offers liquid heating and cooling coils, steam coils and other types of finned tube coils, multiple plate and spiral fin options, and a wide selection of tube, header and casing materials. A quick-ship option is available for most non-welded coils, as is ASME construction with the U stamp or UM stamp. 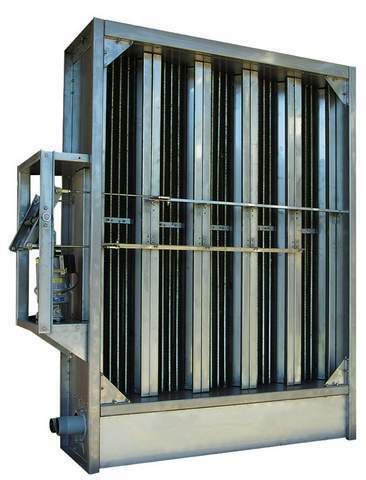 Liquid Heating and Cooling Coils: Standard or custom engineered coils, rolled, brazed or welded joints, removable header cover plate option. Steam Coils: Standard or custom engineered coils, 5/8" or 1" O.D. tubes, tube in tube non-freeze design, removable core construction with airtight frame option. 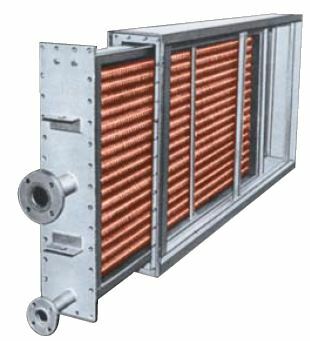 Specialty Coils: Integral face and bypass coil designs, motor and generator coolers, transformer oil coolers, process gas coolers/heaters and nuclear heat exchangers.